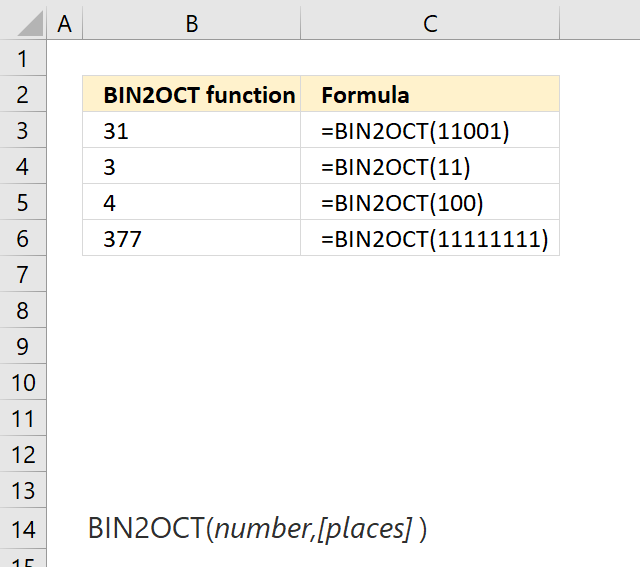 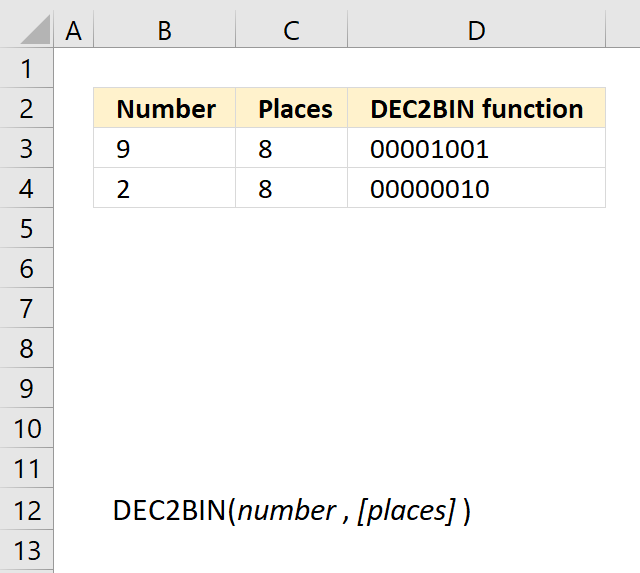 The BIN2DEC function converts a binary number to decimal. 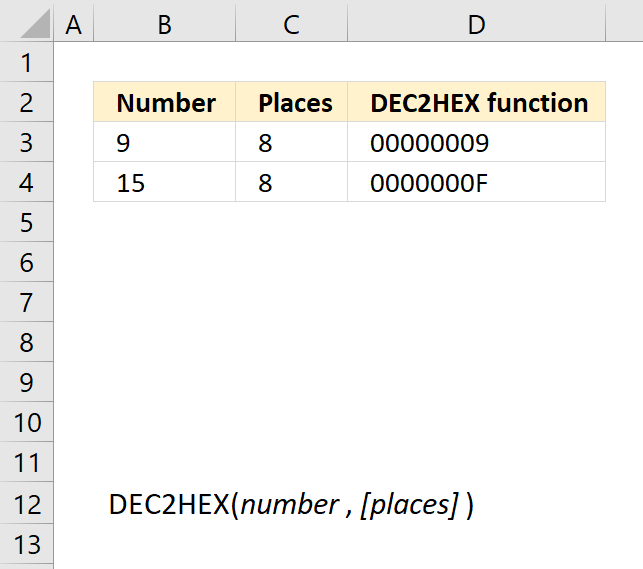 number Required. 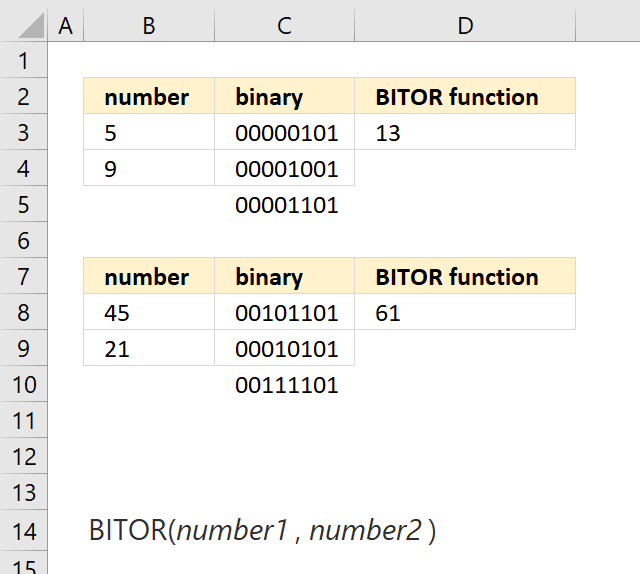 The binary number you want to convert. Maximum binary values are 10 characters. 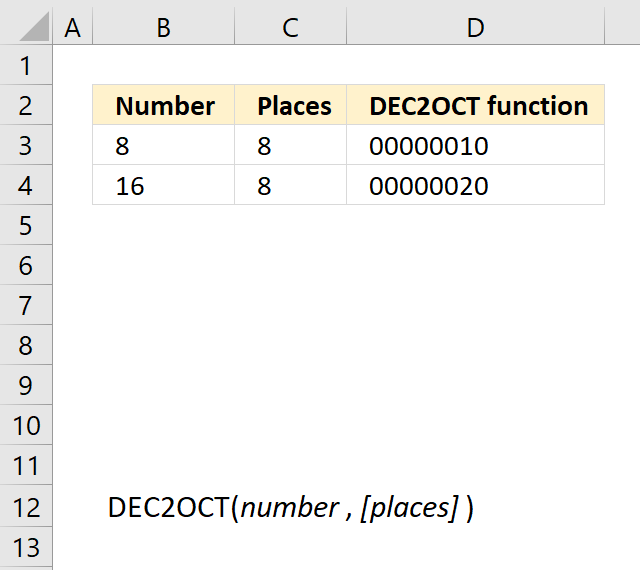 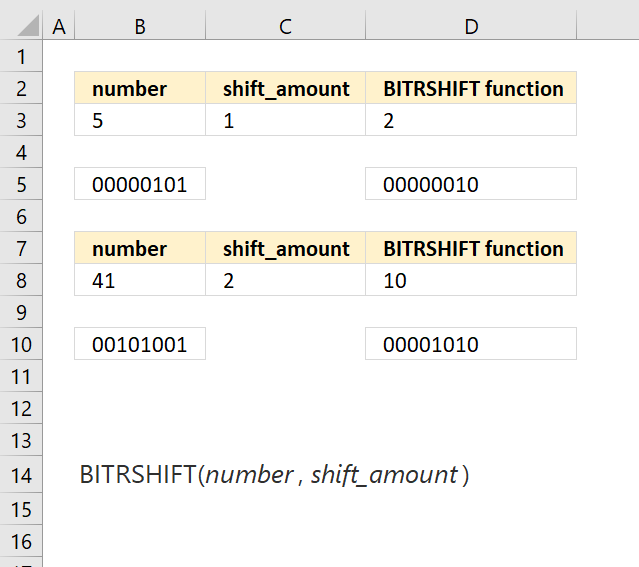 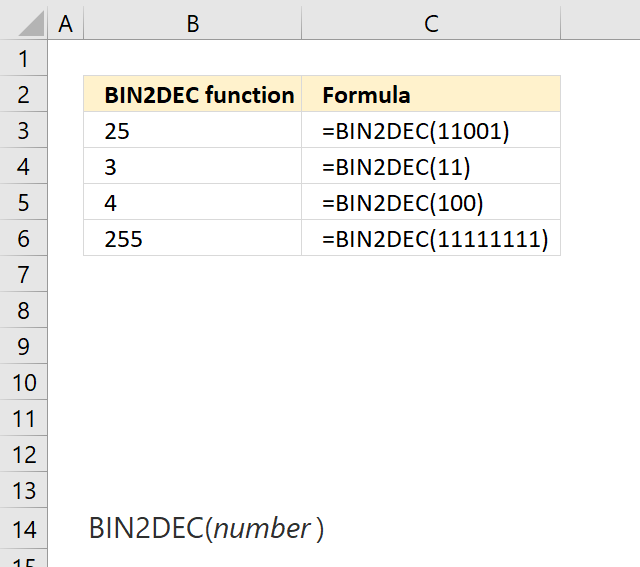 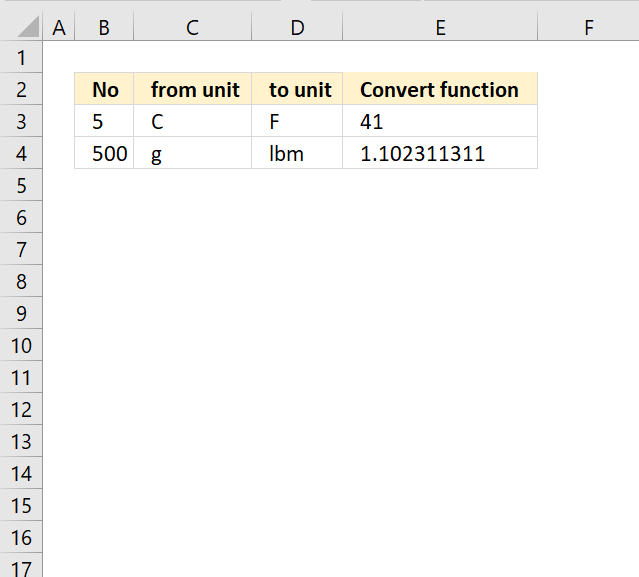 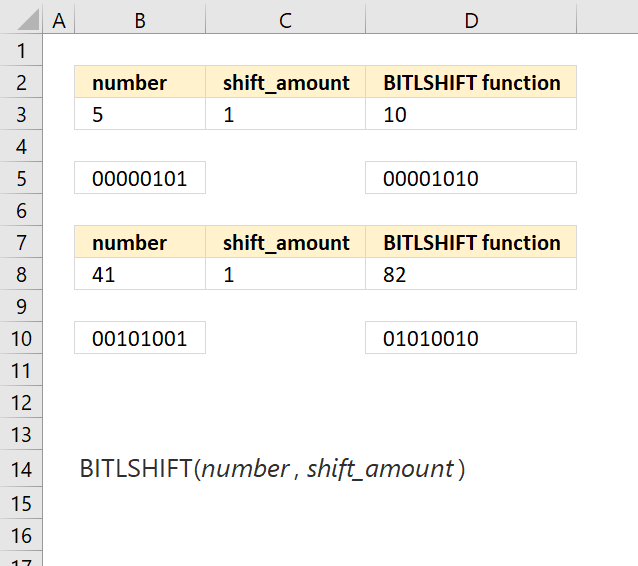 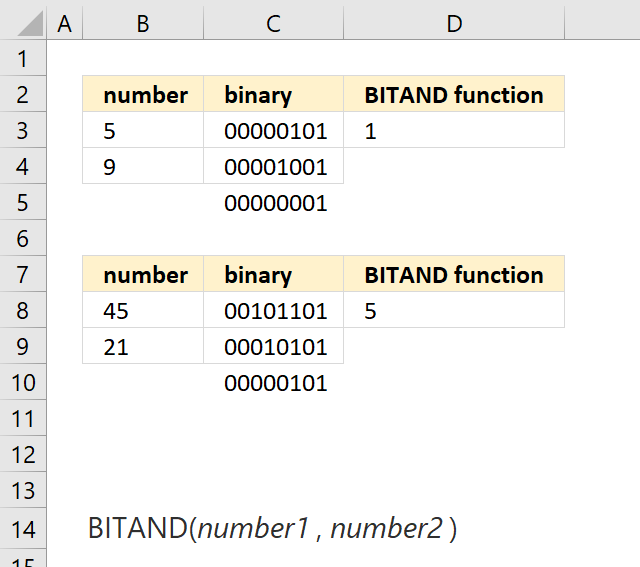 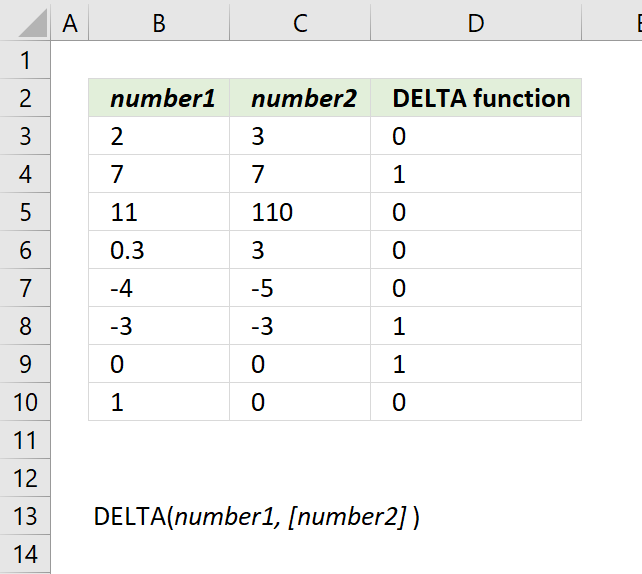 To convert a decimal value to binary use the DEC2BIN function. 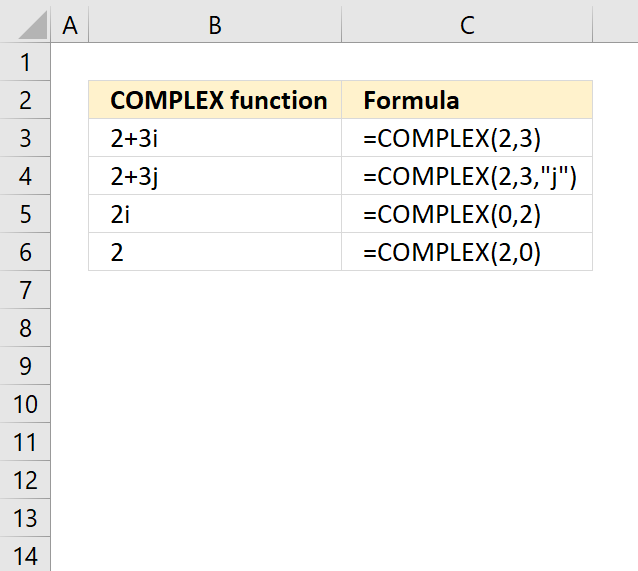 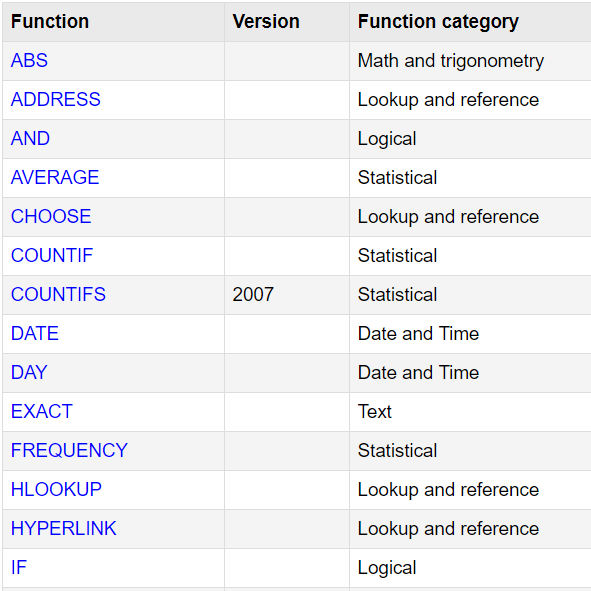 The BIN2DEC function function is one of many functions in the 'Engineering' category.